Available Colors: Clear with White Cap and Silver Carabiner. Clear with Red, Blue or Black Cap, all with Matching Carabiner. Shipping Weight: Poly Bag, 100 per carton @ 25 lbs. 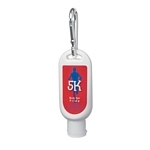 Customized 50ml Hand Sanitizer With Carabiner (Item #HT-9055) is Promotional with a Free Artwork Imprint. 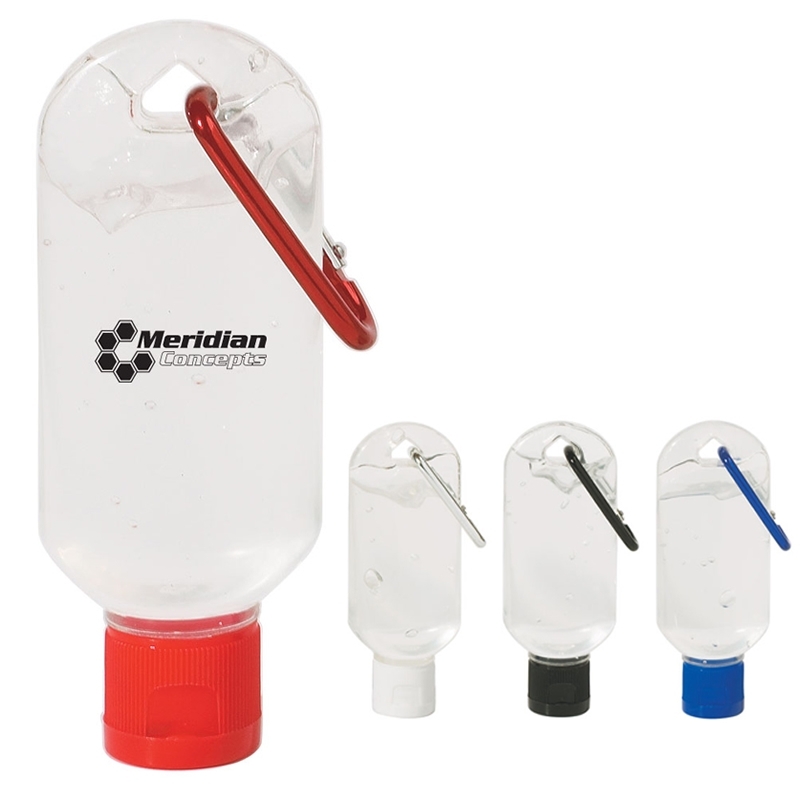 Promotional Hand Sanitizers like our Personalized 50ml Hand Sanitizer With Carabiner are decorated with your logo with no setup fees. Customized 1 oz. Sunscreen Bottle (Item #HT-9060) is Promotional with a Free Artwork Imprint. Promotional Sunscreen Bottles like our Personalized 1 oz. Sunscreen Bottle are decorated with your logo with no setup fees. Customized 1.5 oz. Sunscreen With Carabiner (Item #HT-9061) is Promotional with a Free Artwork Imprint. Promotional Sunscreen Bottles like our Personalized 1.5 oz. Sunscreen With Carabiner are decorated with your logo with no setup fees. Customized 2 oz. Sunscreen Bottle (Item #HT-9062) is Promotional with a Free Artwork Imprint. Promotional Sunscreen Bottles like our Personalized 2 oz. Sunscreen Bottle are decorated with your logo with no setup fees. Customized Small Bath Sponge Foot Care Kit Item #HT-9105 (Minimum Order: 100). Promotional Spa Sets like the Small Bath Sponge Foot Care Kit can be personalized with your business logo and with No Setup Fees.